This is the online version of Galaxy S4 manual (User Manual for I9500/9505, SGH-i337). You can read it online whenever you want. If you want to download the PDF version of the user manual, you can go to this page to download the user manual of your language. 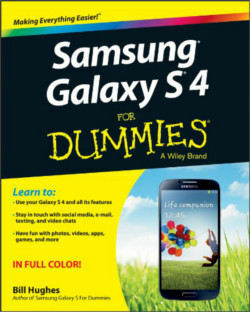 Enjoy this Galaxy S4 online manual. If you want to know some features in detail, you may check this page: Galaxy S4 features explained. If you cannot decide a case or cover for your S4, you may check this Galaxy S4 case and cover guide. 1.How do I sign out from google mail? 2. Procedure for contacting people on videochat on hangout? You can only remove a google account (or disable syncing). All Google services are tightened to this account, which is then tightened to the device. There is no sign out, as I know. For hangout, you need download the app from Play Store. If you click hangout from Google+, it will bring you the installation page as well. If you want to start an video chat, press and hold the people in your circle, then video chat option should pop out. Thanks Simon. That was helpful. Can you make a call from the contact list by swipping the contact to the right as you can write a message by swipping on the contact to the left? To send a text message, swipe your finger from right to left on the contact. Once you swipe all the way to the left a text message window pops on the screen and the contact will be selected as recipient. To make a call, you can try to quickly swipe back and forth. You can set the voice mail at settings – – device – – call. Of course, you need a voice mail provider. Most mobile phone carriers provide such services. Why can’t I send pictures on my messages and I do have Internet and it don’t show no errors. You need enable mobile data. If you didn’t get error messages, how did you know it’s not sent? I switch off my S4 phone and charge it. Unfortunately, it was over charged. i tried switching it on but it is not responding; only some blue light has been showing. What should i do? Galaxy S4 has its own protection mechanism to prevent overcharging. You can remove the battery, wait a min, out the battery back, then try to power it on.